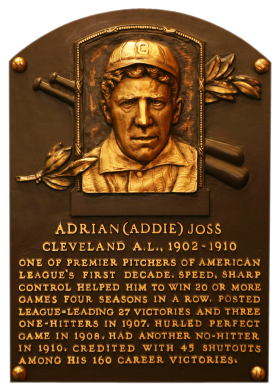 In only nine seasons with Cleveland, Addie Joss won 160 games with a winning percentage of .623 and an ERA of 1.89. 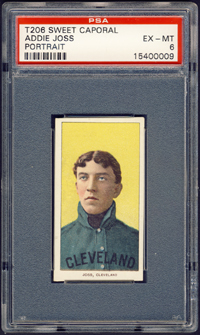 A side-armer, Joss hurled two no-hitters. He struck out 926 batters and walked only 370 in 2,336 innings pitched. In 1911, he died of tubercular meningitis at age 31. Due to his spectacular record, the Hall's usual 10-year career requirement was waived for Joss. Comments: The T206 has always been slotted to be the portrait I wanted for Addie Joss. My first was a PSA 2 purchased sometime in early-2002, later upgraded to a PSA 3 in May2002, and upgraded again to a PSA 5 in March, 2004 all via eBay. 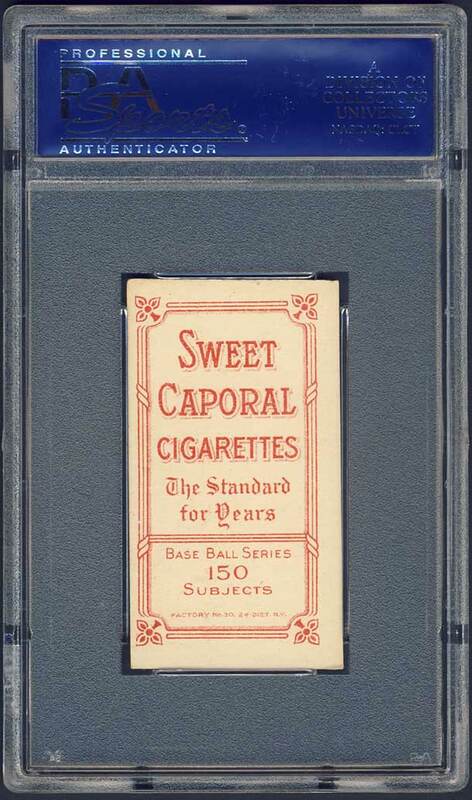 In August, 2008 I purchased this beautiful PSA 6 with slightly touched corners and great centering. The brilliant Carl Horner portrait-pose displays "world class" championship caliber, bright facial hues against a radiant yellow background. 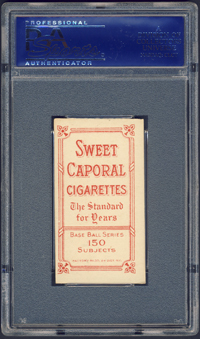 The reverse side "Sweet Caporal Cigarette 150 Subjects" advertisement presents itself in vivid bold red, set against a super clean surface.